To me, homemade macaroni and cheese is the ULTIMATE comfort food. When you pair that with being able to cook it in the crock pot….. I don’t even have words for it! 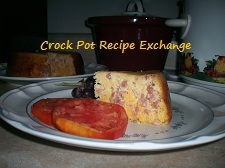 Not only is it a great comfort food, but it is almost the perfect side dish for any occasion﻿, dinner or potluck meal. The most important thing to keep in mind when making mac ‘n cheese in the crock pot is all the dairy you’re using. Dairy products have a tendency to have a very LOW tolerence to extended periods of heat. My biggest tip when making this recipe would be to make sure you use the crock pot or slow cooker that you have that runs the coolest. If you have a crock pot that bubbles or boils food on either setting when you’re cooking it, I wouldn’t use that one to make this in. Spray the inside of a 3 quart round crock pot with Pam non-stick spray, liberally. In a medium sized mixing bowl add egg, evaporated milk, Dijon mustard, milk and spices. Mix thoroughly to incorporate. Now stir in 1 1/4 cups of sharp cheddar and a 1/4 cup of the Gouda. 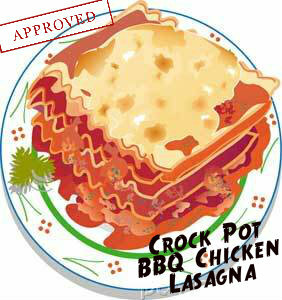 Once that is incorporated, add the macaroni. Stir until all of the macaroni is well coated with the cheese mixutre. 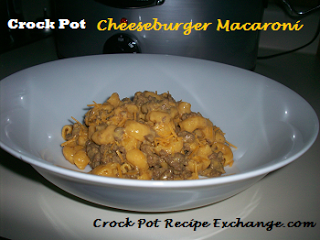 Pour the coated macaroni into the crockpot and with the back of the spoon, make sure it’s in an even layer. Evenly sprinkle the remaining 1/4 cup of sharp cheddar and 1/4 cup of Gouda over the top. Cook on LOW for 5 – 6 hours. What you are looking for are the edges to brown and then center be completely set. DO NOT lift lid or stir during the cooking process. Make sure it’s a crock pot recipe. I’m sure you’ve done some wonderful pasta dishes on the stove top or in the oven, but I want you to share what you’ve created in the crock pot. Please link to your direct post, not your blogs homepage. 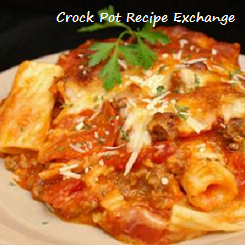 We all want to be able to find your wonderful crock pot pasta dish weeks or months down the road. This will help us to do that. Please mention that you shared your recipe with us here at Crock Pot Recipe Exchange and link back to this page (just good blogger etiquette). This recipe shared at Saturday’s Party. Spider Spaghetti ~ Just In Time For Halloween!